When I was a kid, ponies were often on the top of my birthday wish list. Of course back then we didn’t have iPads so my parents couldn’t appease my whining and nagging with the Pony Style Box app. It is the latest release from developer Fox and Sheep, masterminds behind past favorites Nighty Night Circus and Little Fox Music Box. 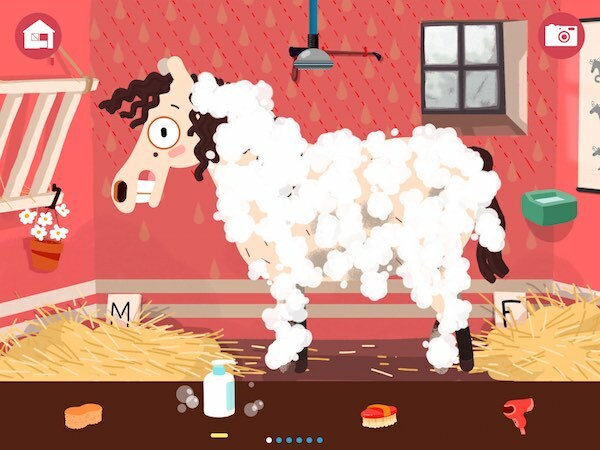 As you might have guessed, it’s a dress-up game where kids can style their very own ponies. The app has five different ponies to dress up. Just like in a hair salon, kids can clean their pony and give it crazy hairstyles. They can use a wide range of styling tools, including a comb, a pair of scissors, a curling wand, an iron, and spray paint of many colors. They can also wash their pony and add accessories such as harnesses, saddles, stickers, and bows. 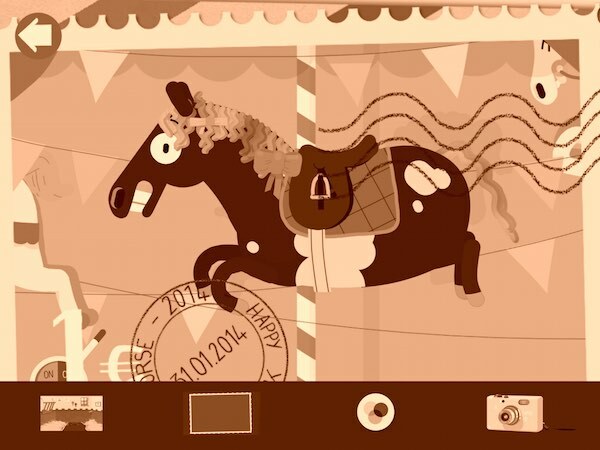 Once the pony is all dressed up, kids can take a photo by tapping on the Camera icon. They can put the pony against different backdrops from the circus to a ranch, choose from various frames, and add filters to give the photo an extra oomph. The photo will then be saved to the device’s Camera Roll. Finally, kids can save their favorite ponies to the Gallery. They can then come back any time they like to continue where they left off or to just play. Dressing up ponies may seem like a girl-focused activity for some people, but Pony Style Box wonderfully evades gender-stereotyping. The color palette is neutral and the art is cute in a way that appeals to both sexes. There really is room for everyone in the app. Parents need to know that the app doesn’t contain in-app purchases, third-party ads, or social media links. It displays information about the developer’s other apps, but to follow the links the user must read and punch in the correct number sequence. Pony Style Box is a vibrant app filled with delightful animations. I like that the ponies respond to your taps as you play. If you rub their eyes with a sponge, for example, they will turn red. The ponies also react differently when you put them in different environments. The gameplay itself is fun for all ages. It encourages players to take the reins and be creative. There is a nice selection of tools and accessories to customize the ponies to your liking. You want to give your pony a rainbow mane? Or a racing get-up? No problem! 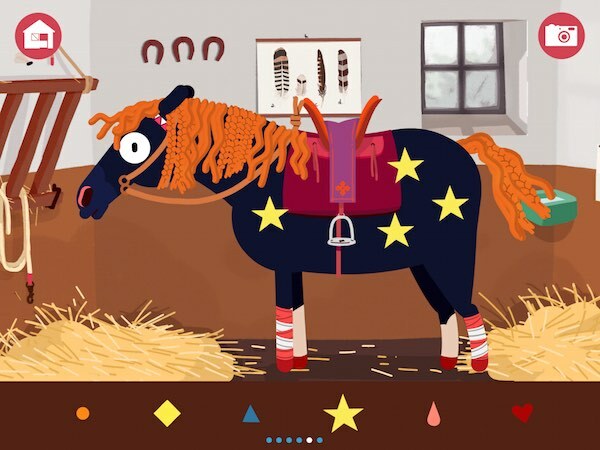 Pony Style Box is a vibrant app that lets kids customize their very own ponies. The graphics and animations are delightful without making any gender stereotypes; there’s room for both girls and boys in this app. Controls are intuitive and straightforward. Overall, it’s a nice app for kids ages 3 and up.